IDEAL GRAB-AND-GO SCOPE - A PERFECT LIFESTYLE GIFT! 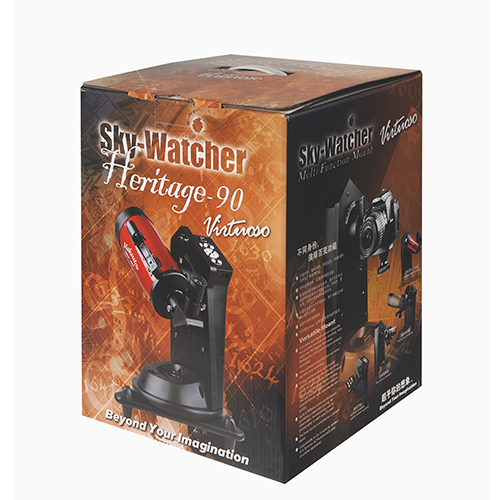 The Heritage-90 packs a powerful punch and is ideal for observing the Moon, planets and double-stars, and also can be used for high power daytime terrestrial viewing. 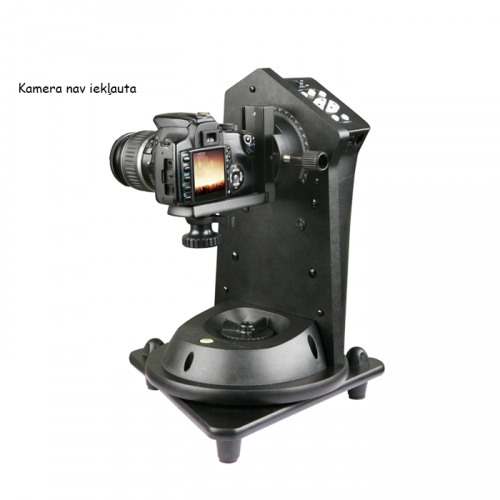 The Virtuoso™ mount provides a stable platform and will track night sky objects automatically once located. The telescope can be slewed automatically in both axes, at five different speeds, via the mount’s electronic keypad. 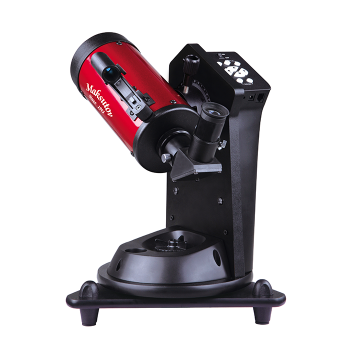 Furthermore, the Virtuoso™ mount can be upgraded to Go-To by purchasing a Synscan™ AZ Go-To handset and cable, allowing 42,900+ night sky objects to be automatically found from its extensive database.